MakerDAO announced the launch of their Dai stablecoin on the 18th of December after over two and a half years of development. Dai is a cryptocurrency that automatically reacts to emergent market conditions in order to stabilize its value against the major world currencies. Dai is a new stablecoin that was developed to help design a new decentralised digital global economy. For those who are unfamiliar with the concept of stablecoins, a stablecoin is a cryptocurrency that is pegged to a fiat currency – such as the U.S. dollar. The most well-known stablecoin is of course Tether, which runs as a token on the Omni blockchain. During a boom time for digital currencies, the Dai creators said they were quick to understand the need for a fair, transparent and efficient stablecoin. MakerDAO hopes to offer traders a trustworthy asset-backed currency with low volatility towards major fiat currencies. The Dai launch on the Ethereum Mainnet represents one of the first fully decentralized stablecoins offered on the Ethereum blockchain. The stability of Dai comes in direct relation to the US Dollar with 1 DAI equal to $1 USD. The currency is autonomously maintained through the use of smart contracts that adapt and respond to market dynamics. Even MakerDAO can’t change the core mechanics of their cryptocurrency offering traders a secure and predictable option for holding funds. Crypto investors often convert to a stablecoin, such as Tether, to secure profits without having to exit to a fiat currency. Financial options including hedging, leveraging, longs and short generally require a third party trusted holder for contracts. Dai aims to change the game allowing traders to work in a similar fashion minus the central control. For example, it is now possible to long Ether by utilizing Dai’s decentralized nature. Users need Ether to act as collateral before creating and issuing Dai. Combining the Dai Explorer and the Metamask application makes it possible to quickly interact and securely move Ether into Dai for a less volatile hold. Those not fully versed in interacting with the Ethereum blockchain may experience a steep learning curve before feeling comfortable with the process of obtaining the new stablecoin. To create Dai, Ether must first be wrapped into a compliant token. After this, the Ether is shifted into an MKR token before Dai is be issued into an account. Funds will then be stored as Dai at a stable rate to the US Dollar. Owners then simply reverse the process to sell Dai back into wrapped Ether. It is still early for the Dai, so system still has a few bugs. A host of new developments continue to be expected on the decentralized stablecoin and despite a few teething problems, reports seem to be positive for the early adopters on Twitter. It took 7 Ethereum transactions and about $11 in fees to mint some @makerdao #dai. However, what came out is a decentralized stablecoin. Amazing effort. 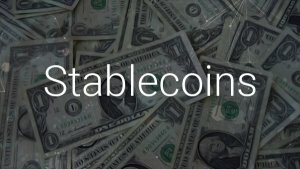 Check out our official stablecoin list if you are interested in other stablecoins similar to the Dai. After discovering Bitcoin, Eliot quickly became fascinated with cryptocurrency and the blockchain industry. He is excited to work towards a future that includes the application of blockchain technology and digital currency in the wider world. 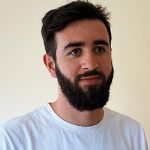 As a freelancer working with companies across the globe, the growth in blockchain technology could soon make his work a little smoother.